You’ve come to the right place for help. Not only was I a builder and remodeler for more than 30 years, but I also served on my village’s planning and zoning board for eight years. I’ve got a fairly good grasp of zoning codes that restrict sheds and similar accessory structures. 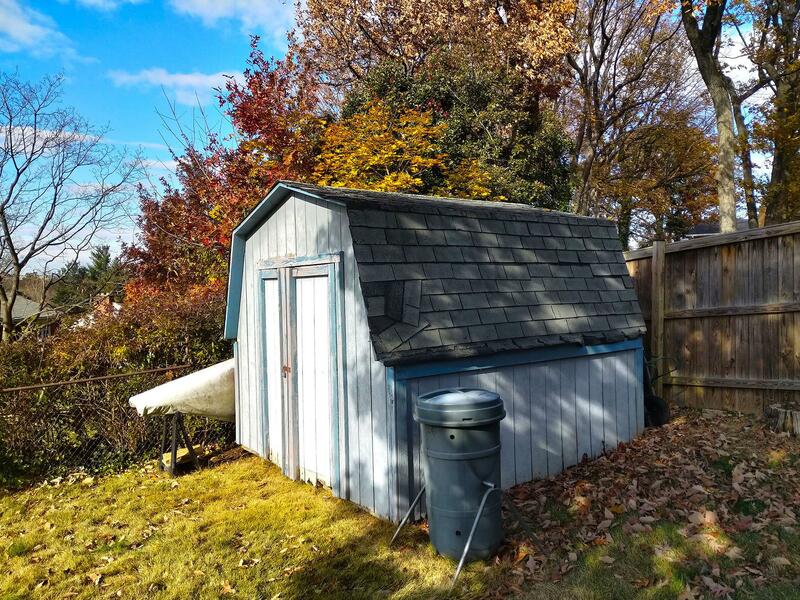 First and foremost, your shed may not be in violation of the zoning code. I don’t have a copy of your zoning code, but it very likely has a grandfather clause. Simply put, if something that was fine to do years ago has become illegal because of new regulations, the offending thing normally can stay in place. You’ll have to probably slide a new 4-by-4 board under the existing floor beams on each side of the shed to lift it. The hydraulic jacks will be set under this 4-by-4, two under one 4-by-4 and the third one in the middle of the other 4x4. You’ll pump all three jack handles so the shed pops up out of the ground, is level front to back and side to side and is at the right height. Place a solid concrete block under the 4x4s or the floor beams to provide solid support between the shed and the soil. You’ll have to slide a piece of z-flashing up under the remaining siding after you make this cut. But before you do that, paint the fresh-cut edge of the existing siding with two or three coats of paint. This will help prevent wood rot in the future. The top of the z-flashing slides up behind the existing siding and the front edge laps over the top of the replacement siding. There are countless decent videos on YouTube that show you how to install simple asphalt shingles. It’s key to have a metal drip edge on the sides and bottom edge. Some shingle manufacturers have installation videos that show what to do. You’ll be amazed at how easy it is to install shingles, and since you’re not that high up, it’s relatively safe.